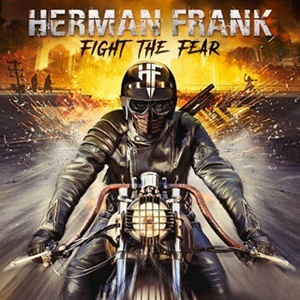 Cranking out a mix of sturdy melodic metal with power, traditional, and hard rock inflections, Herman Frank keeps the machine moving for his fourth outing Fight the Fear. There’s no sense in really spinning the wheels of creativity into unchartered waters – it’s best to stay within an established lane and use the assets within the band and your tool chest to maximize entertainment value for the listeners. 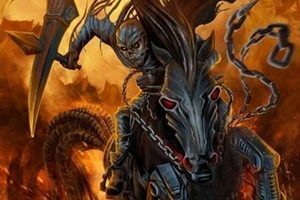 Continuing with the lineup that appeared on their previous effort The Devil Rides Out from 2016, it’s obvious that more time together supporting that effort on the road adds to the character and strength for this 13-song follow-up – delivering an hour plus of street-level metal chock full of excitement as these veterans know how to craft catchy, headbanging material. People love the elevated speed riffs and double kick action of glorious power metal – allowing vocalist Rick Altzi to also ascend to his highest reaches in melodies, and you’ll get plenty of that when taking in “Fear” and “Wings of Destiny”. Herman also slides back into his Accept years from time to time – channeling a bit of “Balls to the Wall” meets “Restless and Wild” swinging groove atmosphere during “Stay Down”, while channeling a bit of that epic doom side of his writing during the magnificent “Hail & Row” – a Sabbath-style outing that rears back to the early 80’s Dio-days and has a gangland pirate-oriented chorus. Drummer André Hilgers and bassist Michael Müller lead from a place of servicing the needs of each song first – but given the flexibility to flash some chops from time to time during opener “Until the End” or the fist-bumping mid-tempo “Hatred” effort. Herman’s axe abilities are still sharp and on point – the lead breaks fluid, bluesy, and making sense in a field where often intricacy and technicality wins over just delivering the right notes in a proper feel context. While there isn’t a ballad in sight (“Lost in Heaven” the closer has slight nods to this category, the guitar harmonies and Rick’s multi-octave emotional delivery spectacular), Fight the Fear contains diverse arrangements with dynamics, never stagnant or stuck in a specific tempo gear. Motoring in his own way like the cover for this record, Herman Frank knows what his legions want in terms of songwriting and performances – and as such Fight the Fear keeps his love of old school, street-level metal on point.